The cattle baron’s daughter was Emily McFaddin, a beautiful, artistic young woman born in 1876 on a vast cattle ranch outside Victoria. The cattle baron was James Alfred McFaddin, son and brother of the Beaumont McFaddins, owners of vast stretches of ranch land, including Big Hill, site of the world-changing oil discovery in 1901 known as Spindletop. James McFaddin had moved to Refugio County and began ranching in 1858 with 130 head of cattle from his father’s herd. After serving in the Civil War, James McFaddin returned to Refugio, served as a one-man bank, loaning money to his neighbors, and buying land where the San Antonio and Guadalupe rivers converge. As his holdings increased, James McFaddin built a three-story mansion in Victoria with an art studio for Emily in the tower above the center of the home. The first artist in this story was the lively James Ferdinand McCan from County Kerry, Ireland, who arrived in the United States at age seventeen. He settled in San Antonio and opened an art studio. 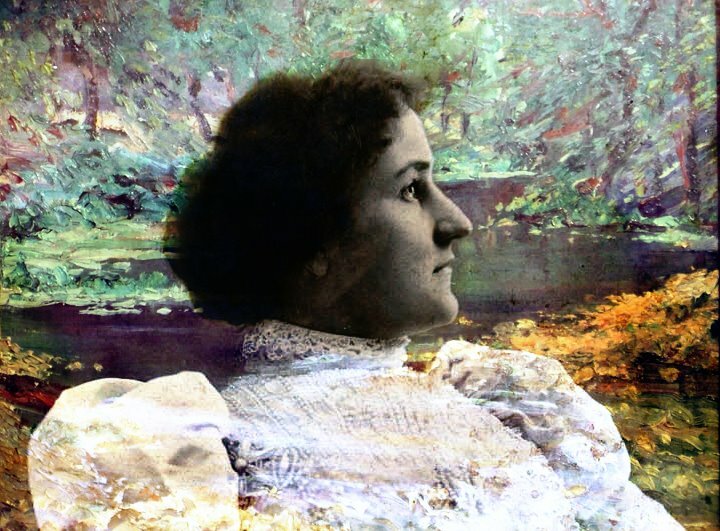 An exhibition of his work caught the eye of Henrietta King, wife of the wealthy cattleman Richard King. 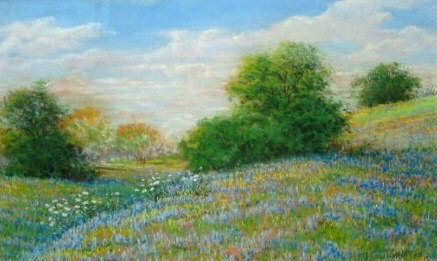 Henrietta moved McCan to the King Ranch where he served as artist-in-residence for two years. During that time his reputation blossomed. Al McFaddin, Emily’s brother, commissioned McCan in 1896 to paint a portrait of his and Emily’s parents, James and Margaret McFaddin. Emily and McCan married the following year and moved happily into Victoria’s social whirl, entertaining in the home her parents gave them as a wedding gift. 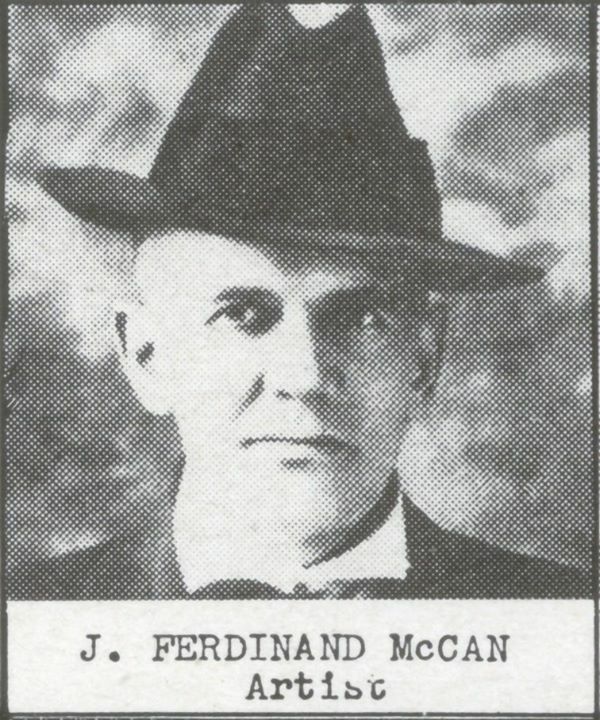 Their son, Claude Kerry McCan, was born in 1899. New York artists and became renowned with many one-man exhibits of his portraits. 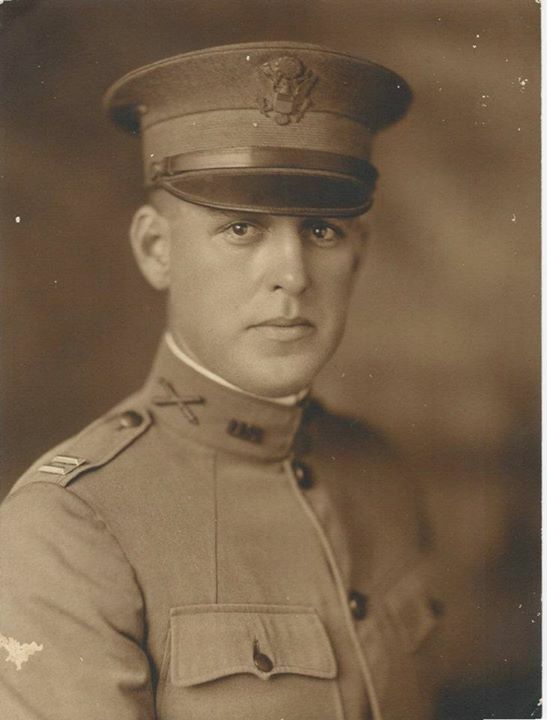 After serving in WWI, he movied to Victoria to study art with James McCan. The two artists became such good friends, that Nave painted a self-portrait that he gave to McCan with the inscription, “To my friend, J.F.M.” and signed “Royston Nave.” The portrait hangs today in the front hall of the home built for Emily when she married McCan. A year after her divorce, Emily and Nave were married. The couple began a whirlwind life of worldwide travel with her brother Al and his wife. 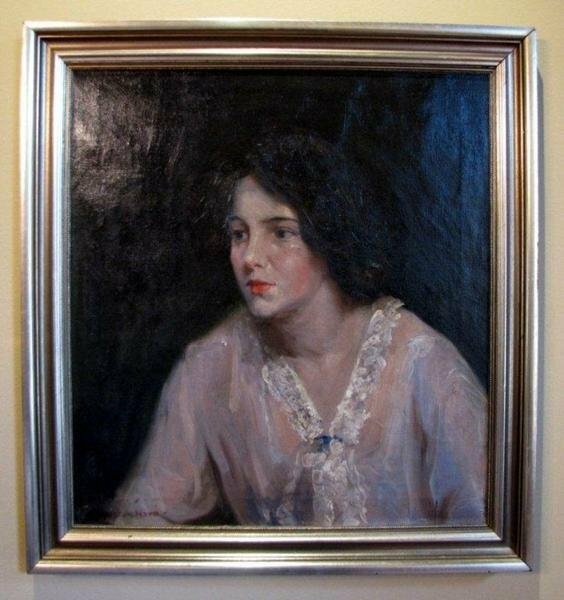 They finally settled for two years in New York where Nave enjoyed continued success with portraiture. In the late 1920s they returned to Victoria where Nave painted in his studio, and they enjoyed the social and cultural life of the city until Nave died unexpectedly of a heart attack at age forty-four. The family was devastated, and after a year of mourning Emily commissioned the father/son architectural team of Atlee and Robert Ayers to design a fitting memorial for Royston Nave. 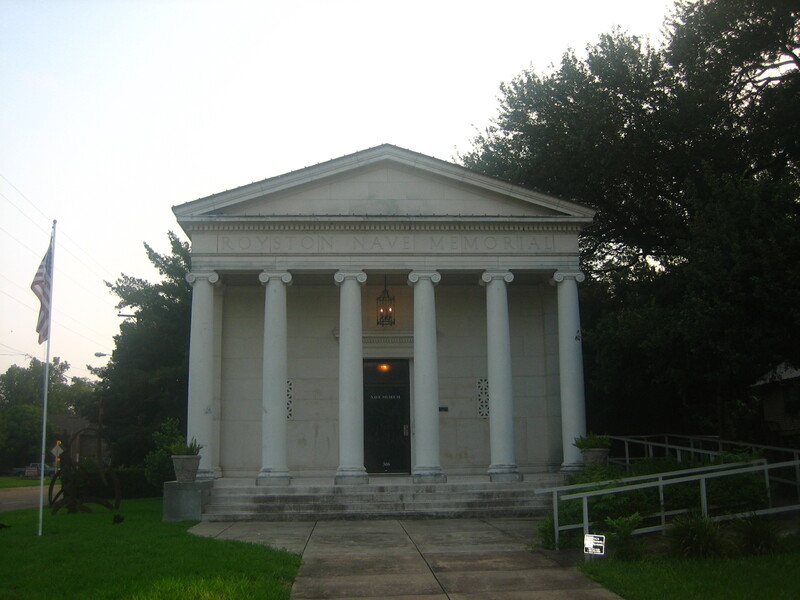 The Greek revival temple opened in October 1932 as the Royston Nave Museum to house the work of Royston Nave and the library of the Bronte Study Club. Nave’s portraits and his landscapes hung above the stacks of books until 1976 when the city of Victoria constructed a new library. Emily continued her cultural and community interests until her death in 1943, even hosting Eleanor Roosevelt in 1940 when the first lady visited Victoria. Many thanks to you, John. I’m honored that you read my posts. Excellent text and complementary visuals make this so worthwhile. You ‘know your stuff’ and that is always so satisfying for the reader. Yes!